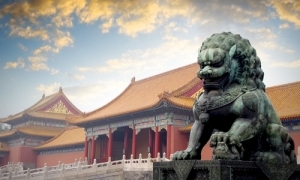 Sidley Austin has advised China Reinsurance Group (China Re) on its $950 million acquisition of Chaucer Insurance, a unit of Hanover Insurance Group that underwrites risks at insurance market Lloyd’s, with Debevoise & Plimpton advising the seller. According to Reuters, China Reinsurance will fund the deal to buy Chaucer with $865 million in cash and $85 million in dividends from the unit. In a statement, Hanover said that sale of Chaucer would reduce its catastrophe and tail risk exposure and improve long-term operating return-on-equity potential. The Sidley team was led by London-based partner Martin Membery and Beijing-based partner Henry Ding. The Debevoise team was led by London-based partner Jeremy Hill. The transaction is expected to close late this year or in the first quarter of next year, subject to the approvals from the general meeting of China Re and domestic and foreign regulators.